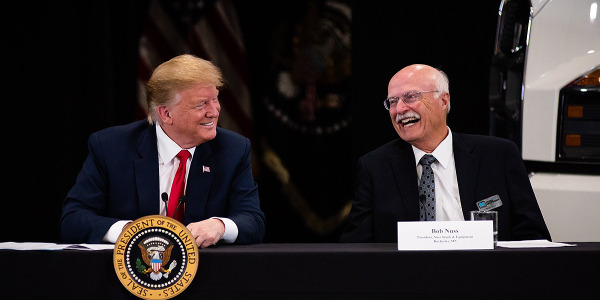 The advent of new technologies such as autonomous and connected vehicles has put over-the-road fleets squarely in the national spotlight. 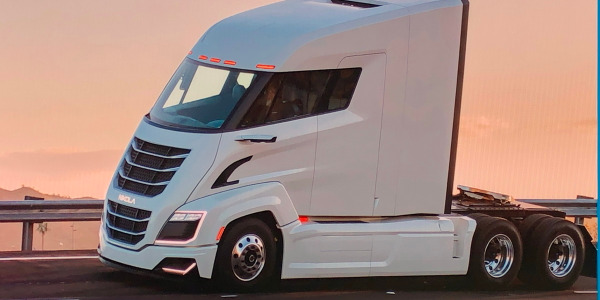 But vocational fleets face many of the same operational issues, and they, too, increasingly are turning to new technologies and options to work more efficiently and profitability. 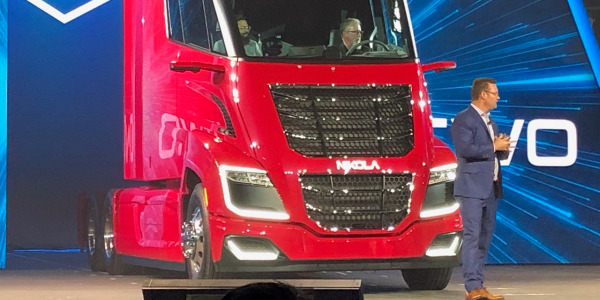 Some industry observers believe it will be in vocational fleets where we’ll see the first real-world tests of vehicle-to-vehicle communication, self-driving trucks, self-diagnosing powertrains and other new technologies. 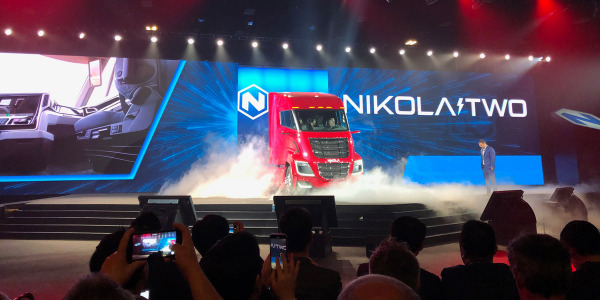 Volvo, in fact, recently predicted that refuse trucks working at a walking pace in residential neighborhoods may well be the general public’s first exposure to self-driving trucks. For now, many cutting-edge medium- and heavy-duty vocational fleets are looking to more established, and often less flashy new technologies, to help them work smart and profitably. And three of those trends are gaining momentum. Advanced vehicle safety systems have become a common spec for over-the-road fleets. 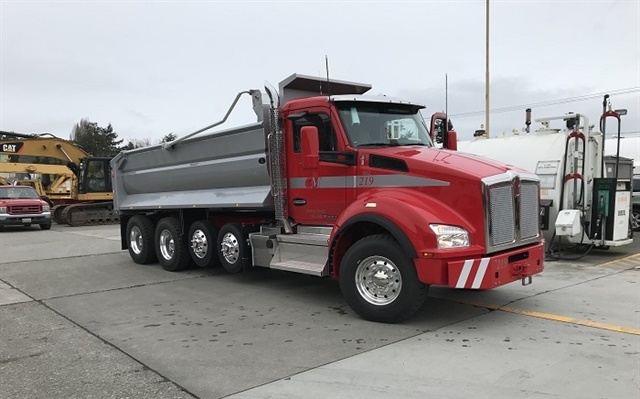 Yet vocational trucks may need them even more, says Ralph LoPriore, director of fleet assets and processes for Stoneway Concrete/Gary Merlino Construction in Seattle. His mixers and dumps spend far more time in tight city areas surrounded by passenger cars than the majority of OTR trucks. And given the increased congestion in and around Seattle, along with his younger, less experienced team of drivers, spec’ing advanced safety systems for his fleet was a no-brainer. But there’s a problem: They’re not all available yet for vocational trucks. “Some of these you can’t spec from the OEMs, and others just aren’t available at all. It can be frustrating,” LoPriore says. 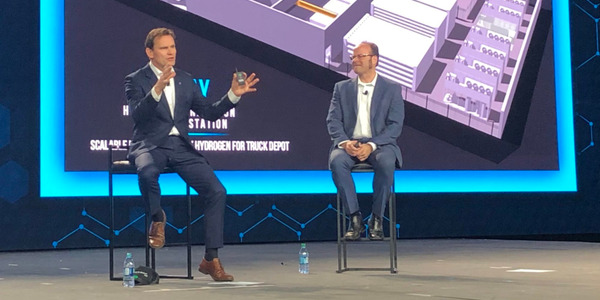 “The amount of requests we’re getting for collision mitigation systems and other active vehicle safety systems has really blossomed in the medium-duty space,” says David Hillman, vice president and general manager for International Truck’s vocational product line. He says vocational fleets typically work in much more dynamic, fast-paced environments than long-haul trucks. 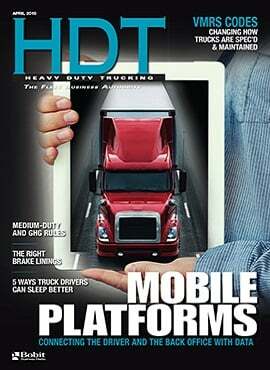 As a result, more fleets are recognizing the value these systems deliver. LoPriore isn’t the only vocational fleet spec’ing automatic and automated manual transmissions. In fact, the decline in popularity of the manual gearbox, in both medium- and heavy-duty vocational applications, has been every bit as sweeping as in heavy-duty OTR fleets. 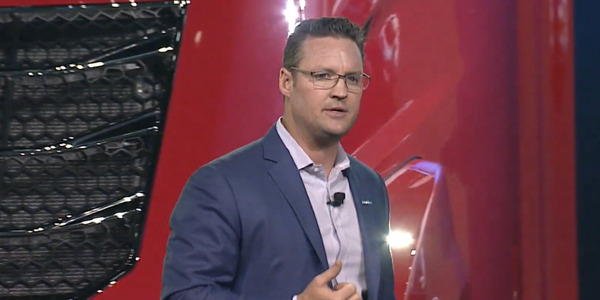 Automated and automatic transmissions are becoming more and more popular with drivers of all experience levels, says Kelly Gerdert, director of product marketing for Freightliner Trucks and Detroit Components. She says new, less-experienced drivers typically take less time to train on automated transmissions, so they can get behind the wheel and producing revenue sooner without compromising safety. “Even older, more experienced drivers benefit from the convenience of automation by keeping their eyes on the road and reducing the distractions and fatigue typically associated with clutching and shifting a manual transmission,” she adds. It's a theme familar to Dave Jackson, co-owner and occasional driver at Redbank Transport, a Class 8 dump truck fleet in Cincinatti, OH, who says his company switched over to Eaton UltraShift Plus AMTs in 2012. 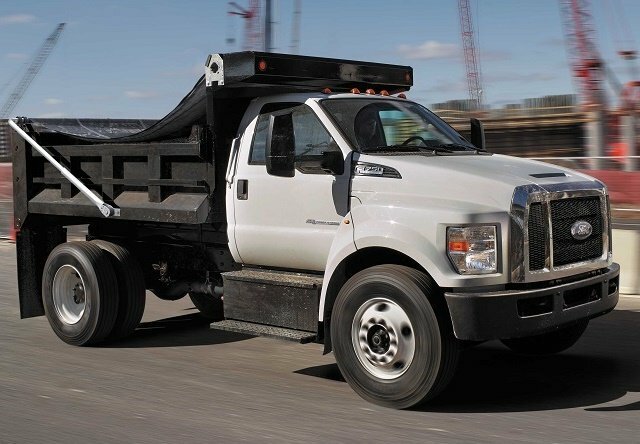 Initially, Jackson was interested in boosting his fuel economy and aiding in jobsite manuverability with AMTs, but soon noticed significant driver health benefits as well. Today, his dump trucks are logging an average of 5.67 mpg and his drivers, who once suffered from soreness issues and bad knees welcome driving trucks with no clutch pedal. "The best part about running AMTs is having so many options that allow these tranmissions to do whatever it is you want," Jackson says. "You just can't beat the versatility of these transmissions both on jobsites and on the highway." 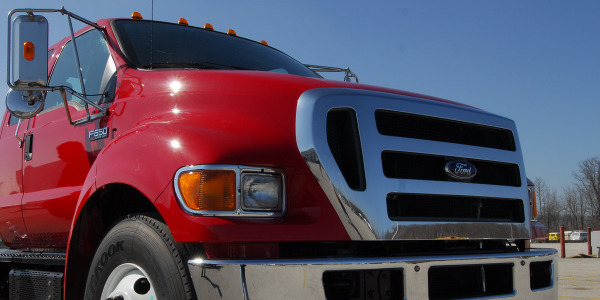 Spec’ing vocational truck engines has become a more involved process than ever, thanks to bridge formula laws, the need to maximize vehicle payload, fuel prices, and even environmental concerns in certain parts of the country. 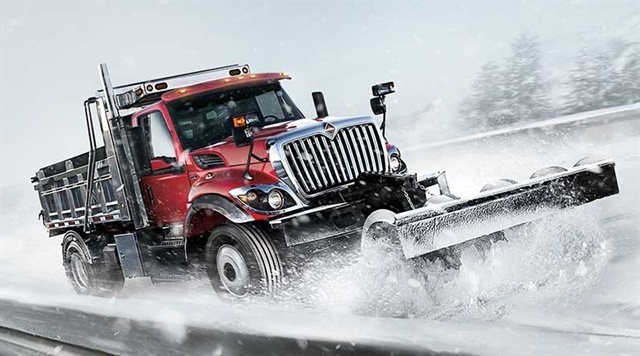 Fortunately, fleets today have a wide variety of power options to choose from. “When deciding on engine displacement, the duty cycle of the vehicle needs to be carefully considered,” Kenworth’s Swihart advises. “While 350 hp can easily be achieved with a 9L engine, it may not last as long in rigorous vocational conditions as a larger 11L or 13L engine.” Swihart says fleets that run their trucks continuously throughout a workday and use a power take-off (PTO) frequently may find larger-displacement engines are worth the additional weight and cost. 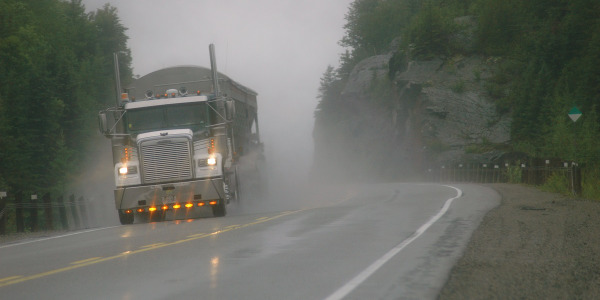 On the other hand, fleets running trucks that are driven to and from jobsites and shut down once they arrive may find a smaller-displacement engine works just fine. “Because there is no one-size-fits-all solution to determining the best engine choice for different vocations and duty cycles, we do not see a specific trend for smaller or larger engine displacements,” Gerdert says. 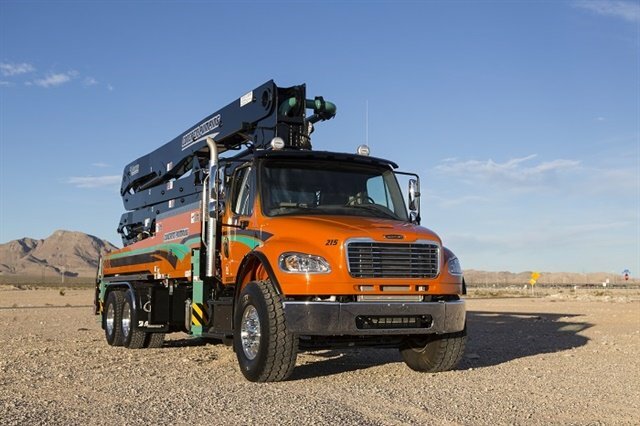 And because there are so many different vocational applications to service, she says, Daimler Trucks North America’s Detroit division has focused on offering customers as many power ratings as possible in order to meet their needs, from the 210-hp Detroit DD5 engine up to the 600-hp Detroit DD16. There’s also the question of alternative fuels. 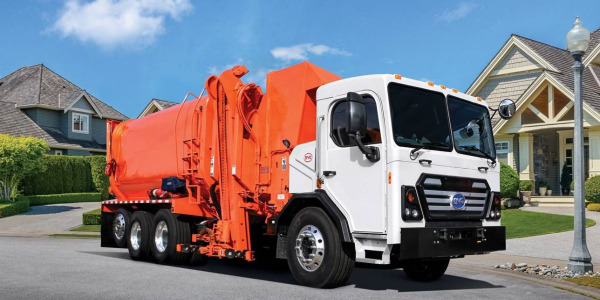 Natural gas, for instance, has seen adoption in the refuse world, led by fleets such as Waste Management and Republic, and Chicago-based Ozinga is pioneering natural gas in ready mix. 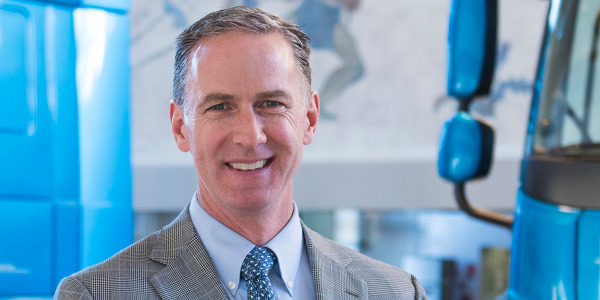 Outside of their obvious appeal to fleets operating in areas with tough environmental regulations or for green-focused customers, Hillman says fleet managers experimenting with electric trucks and vans today are finding they have very few moving parts and corresponding low maintenance demands. Vocational trucks work hard in tough, crowded and dangerous environments. Given these demands, it’s not surprising those fleet managers are looking for any edge to give them an upper hand in their daily grind. And increasingly, it seems, they’re turning to modern technology to do exactly that.